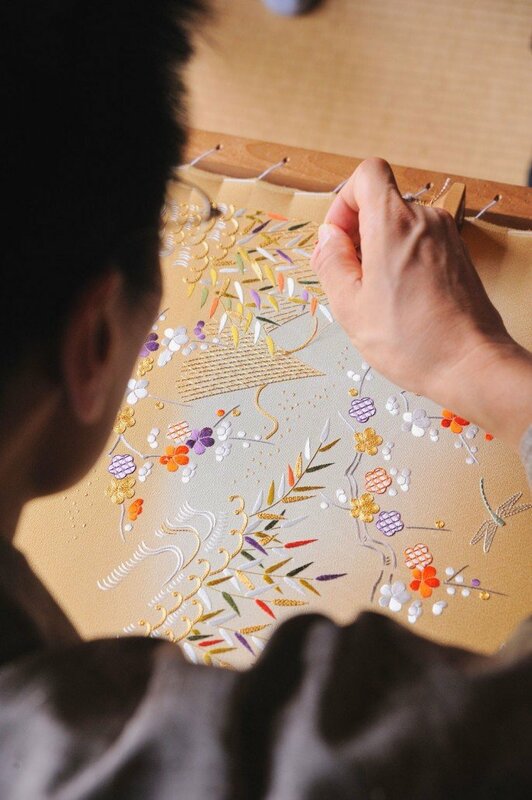 The Japanese Embroidery Center is a nonprofit educational organization established in 1989. We are striving to share the Japanese Embroidery tradition and the concept of Nuido with stitchers all around the globe. 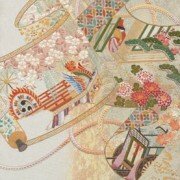 Japanese embroidery (nihon shishu in Japanese) is a collection of embroidery techniques that originated more than 1600 years ago. Over time, as shishu developed its own unique Japanese qualities and characteristics, it took on a more artistic purpose. According to historians, from the early Heian Period Japanese embroidery was primarily used for decorating the costumes of the Ladies of the Imperial Court. During these early stages, shishu was only available to a select group; only the highest ranks of society could afford such costly work. However, after a thousand years’ sleep, this cultural heritage, the fruit of countless predecessors, is now available to a wider audience and continues to develop a more spiritual purpose. The late Iwao Saito, master embroidery designer and founder of Kurenai Kai, used to say that the skilled hands of the embroiderer, which have a deep relationship with the heart, produce gorgeous works of embroidery. The embroidery not only reflects the state of the inner heart, but it also reveals the embroiderer’s lifestyle in the way he or she selects colors and uses the various techniques. There is no way that a vague and superficial life will create work that will touch people’s hearts. By serving a cup of tea employing a concept of “the way,” Sado (the way of tea/the tea ceremony) has reached the level of art. In Japan, there are other “ways” such as Kendo, Shodo, Judo, Kado, and all which have attained the height of quality by integrating techniques with the spiritual concept of “the way.” Traditional Japanese Embroidery has evolved, in its thousand-year history, into Nuido, The Way of Embroidery. We have emphasized the connection between the heart and the techniques. 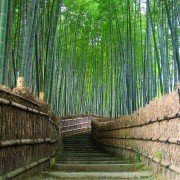 We are trying to practice the path of Nuido that is aimed at the integration of Nui (techniques) and Do (spirit). With our wish to unite all people in harmony, we will continue to introduce Nuido to the world. 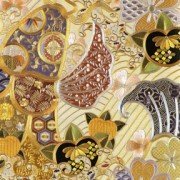 The Japanese Embroidery Center, located in Atlanta, Georgia, was founded in 1989 by Shuji Tamura, the successor of late master Iwao Saito in Kurenai-kai, Japan and his wife Masa Tamura. 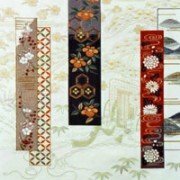 The Japanese Embroidery Center (JEC) is a nonprofit educational organization whose mission is to preserve and promote the cultural heritage of Japanese embroidery through the pursuit of Nuido™, The Way of Embroidery. The word Nuido™ is made up of two parts; Nui, or embroidery (also shishu), and Do, the way of Nui refers to the acquisition of technical skills and knowledge. Do refers to the development, and constant discovery, of the spiritual components of the art of Nuido™. Nuido™ has three aspects: the acquisition of technical skills and knowledge (rationality), the development of artistic sensitivity and awareness (sensitivity), and understanding the spiritual aspects of shishu (spirituality), resulting in a state of peace, calm, and harmony. 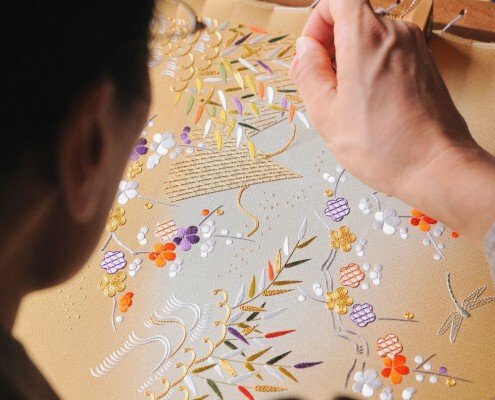 Our mission is to preserve and promote the cultural heritage of Japanese embroidery through the pursuit of Nuido™, The Way of Embroidery. We are trying to practice the path of Nuido that is aimed at the integration of Nui (techniques) and Do (spirit). Japanese embroidery gives me a place to retreat and refresh myself with peace and beauty. I love examining the elegance of Japanese design and learning the history and culture of Japan. Japanese embroidery has taught me that if I persevere, in time, I can achieve things I never would have thought possible. More importantly, I found life-long friends and teachers who give real meaning to the words integrity, kindness, and wisdom. If you wish for us to provide you with class information for the teacher nearest to you, please click on the button below and submit your information. We have instructors in Australia, Canada, France, Germany, Italy, The Netherlands, USA, and United Kingdom. If you are interested in our textbook/portfolio publications and materials such as silk threads, metallic threads, embroidery tools, please visit our JEC Store.